These kinds of posts are one of my favourites to write I think. 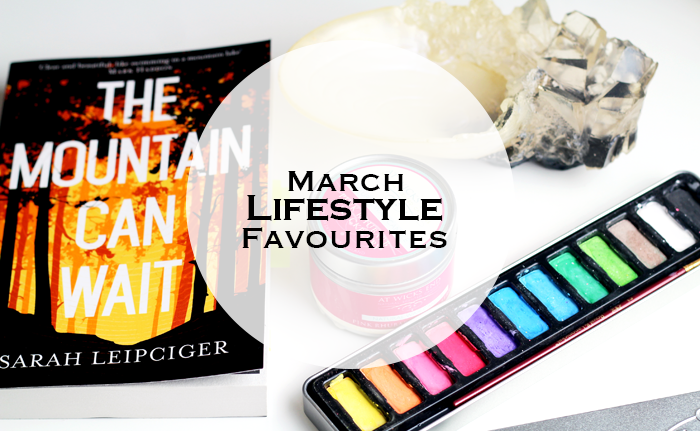 Like I touched upon yesterday in my March beauty favourites I cannot believe it's the end of March already, but it's been a good month. My mind feels clearer than it has in a long time, there's been a lot more sunshine, I'm feeling good about sailboat after spending yesterday scribbling down ideas, and as I type there's a pup (I'm dog sitting for my mum!) snoring away next to me. My sweet mama gave me this candle and I've been burning it at my desk all month. It smells SO good, like sweets, but not in a sickly sweet way if that makes any sense at all? 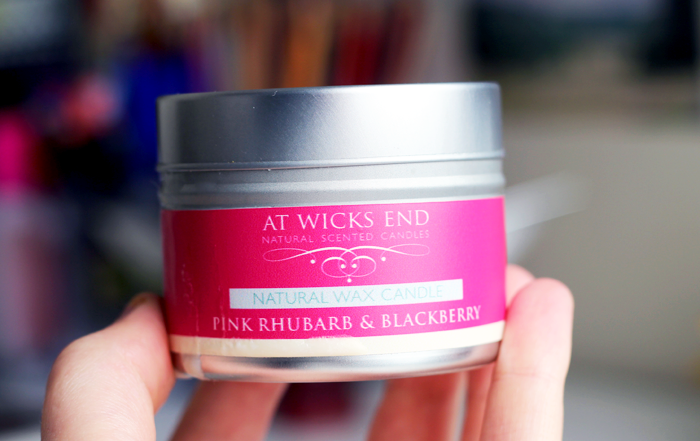 And glass jars are lovely, but I do think I prefer candles in tins for some reason. My favourite souvenir from the Warner Brothers Studio Tour and it sits happily on my desk. It was much too expensive for just a chunk of plastic, but it's so tactile and generally brilliant. I have a real thing for odd looking objects and this fits the bill perfectly. Plus it's HP related so that makes it even better! Inspired by the BBC Big Painting challenge I dug out my watercolours earlier this month and made time to paint. I can't draw at all so my efforts are mostly just colours swirled together, but it's so relaxing and sometimes there's just nothing better than making pretty patterns on a piece of paper. It's fun to experiment and make a bit of a mess no matter what your age! "Tom Berry has always been a loner, a man content to live out his days in the wilderness with just enough ammunition and kerosene to last out the winter. A single father, he has raised his children with the same quiet and absolute dedication he brings to his forestry business, but now he's discovering that might not have been enough. When his son, Curtis, on the brink of adulthood, disappears after a tragic accident, it falls to Tom, the hunter, to track him down. Whether he can truly reach Curtis is another matter." It's not action-packed nor hugely riveting, and that for me is one of its strengths. It's an exploration of the relationship between father and son, and how actions towards one another can have deeper, sometimes unseen, and perhaps unexpected effects. It remains true to itself throughout, never pretending to be something its not and it feels so authentic. I felt like I was taken on a meandering route through the story and allowed time to admire the beautiful Canadian scenery, time to consider why Curtis reacts the way he does, and appreciate the journey that Tom goes on in order to truly connect. 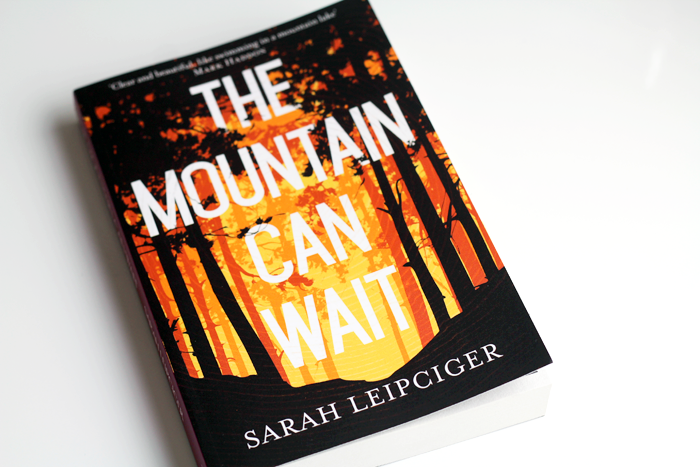 It's not perfect, but it is one of the most atmospheric novels I've read in a long time and one to look out for when it's published on May 7th. Let me know what you've been loving throughout March in the comments! That candle sounds delicious!! 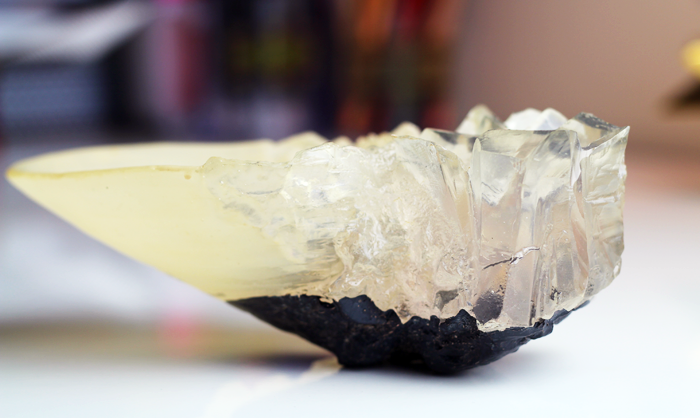 I also.love your crystal, I'm such a sucker for anything that looks natural and rough around the edges. The crystal goblet looks gorgeous! I really want to visit HP Studios, but for now I'll just keep re-watching the films haha. The candle sounds lovely. It's nice to hear that you are painting, inspired by the Big Painting Challenge. I've been watching that programme and have loved it. It too has inspired me to be more creative! 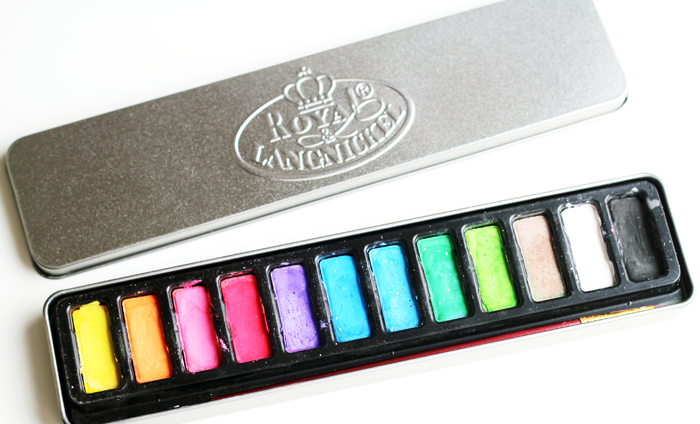 At first I thought the watercolour set was eyeshadow - I think I need to go for a lie down! I'd really like to start being more creative again - I'm terrible at drawing and painting (or anything arty, really!) but there is something so therapeutic about taking the time to create something new. Ha I saw that HP piece in another post and I swore it was from the gift shop then! Wicked purchase and accessory!